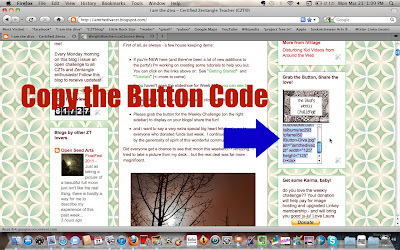 I was asked to provide a tutorial on adding my Challenge Button (on the sidebar on the right) to a blog. I will try to help out as much as i can. There are Two options - the first one, you can copy the code for the button and paste it into your actual blog post. Then the button will only appear on the posts that you want it to appear on. This, i think, is pretty self explanatory... 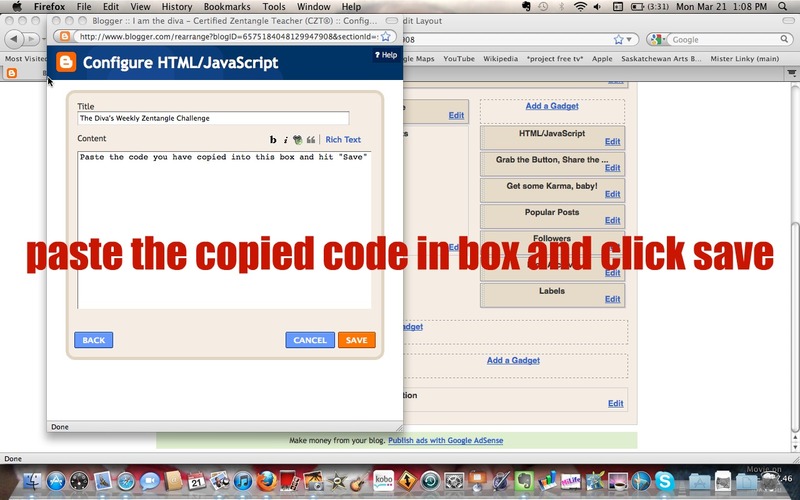 Copy Code, Open post... write post, paste code, hit publish... voila! If you want to add it directly to your sidebar (*my personal favourite option, wink*) here's what you do. 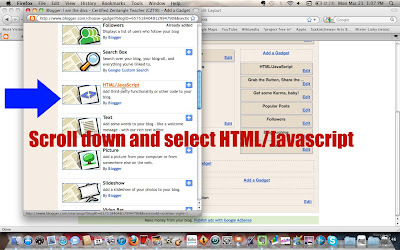 You can find the code on the right sidebar of this blog. 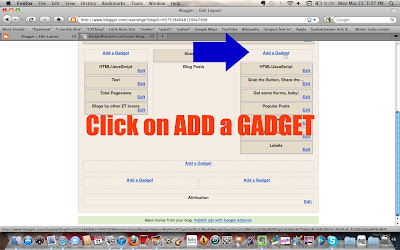 Second: Open your blog's design page, and click on "Add a Gadget" where you'd like the button to go. Fourth: A box will appear for you to paste the copied code into. Once you've added the code box, you can move it around your design by clicking and dragging, as with any of the design elements on your blog. I thought I was following your instructions, but it did not work for me. I will try again later. I had tried everything I could think of and still could not do it. So I appreciate you posting the tutorial. Thanks for the tutorial. 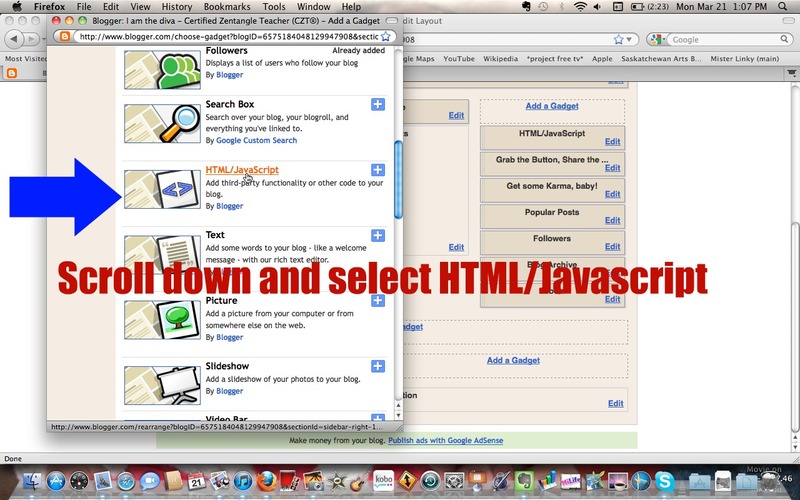 I had been trying to include the button on my blog (http://findingmelosingme.blogspot.com/) without success, but your tutorial explained it perfectly. I did it! Thank you Laura, for your clear instructions. This has been driving me crazy! I thought I was doing everything correctly, then I re-read things slowly and carefully, did it step by step exactly and to my surprise got the button now on my blog. Thank you so much. It's done! Thanks! This was easy peasy!